This book is a real treasure trove of information, but it is an odd creature. 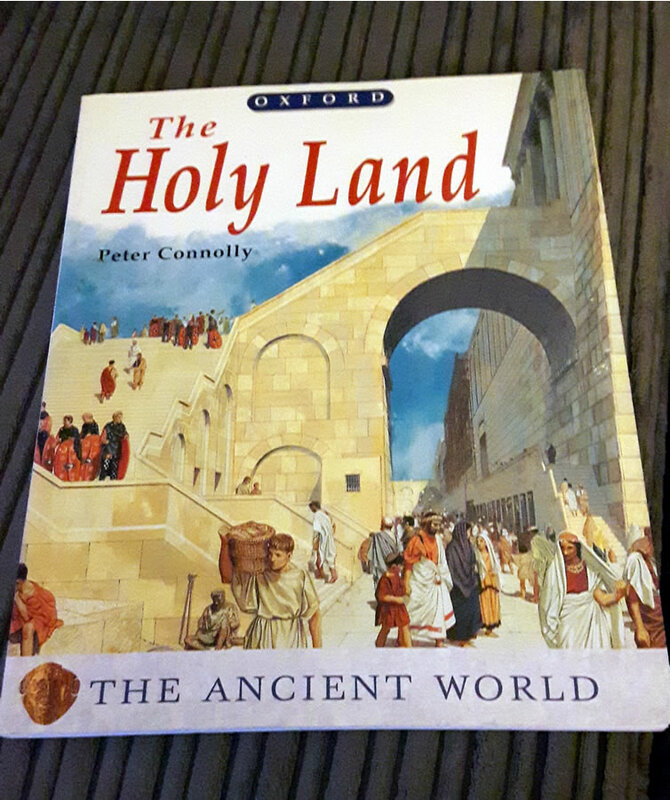 The history is brief and almost simplistic; somewhat at the level of a Readers Digest/Popular History feature; but it distills the key facts in an easy to read form as a result; the use of extensive photographs and illustrations on every page gives the impression of a children's textbook more than anything. Historically, the book begins with Herod the Great, and carries on through to the end of the first Rebellion, so covering about a century of increasing Roman subjugation. The real strength of this, personally, are the reconstructions in the illustrations, suitable inspiration for my long idle Jewish Rebellion project. That said, in an effort to make my Jews look unique, I did decide to give them the Mantle, shown in some textbooks,but in few contemporary illustrations - including Connolly's - of Jewish warriors. So, I guess the book worked for me, as I've been busy assembling new miniatures. 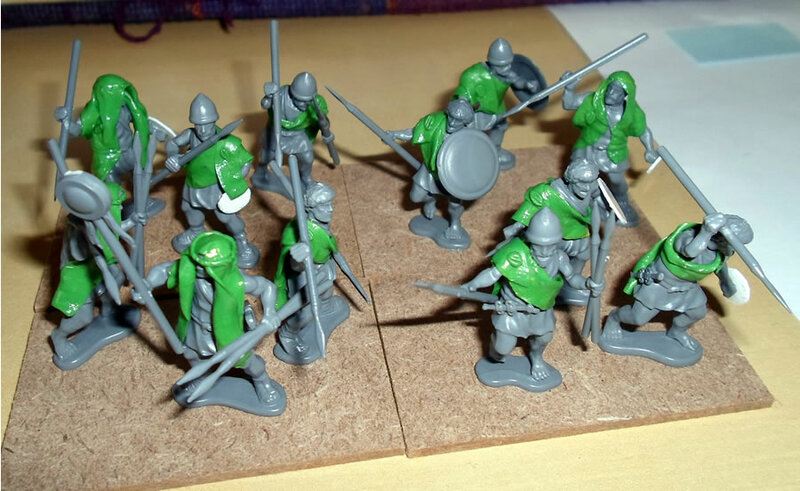 Given I've the sprues for some 150 or so infantry it was about time I got back to these guys. Above are a nascent unit of light infantry, armed with javelins only. My green stuff skills have taken a step forward here with the use of a plastic palette rubbed down with olive oil to flatten out sheets of it on. This gave me thin enough strips to get nice folds in, and to allow a more Arabic headdress use of the mantle, as shown in some illustrations to be experimented with. These warriors, not being part of the well equipped fighting line, have mainly no shields or simple wicker and hide affairs, and only a few helmets; no Roman equipment. Hopefully I'll get a couple of units created before I get sidetracked or bored! As to the Connolly book, it is hard to find, I paid about £15 second hand for my copy, but it is worth it if this is a period of history you are interested in, and if you would like quality reconstructions of the buildings costumes and artifacts of the period. 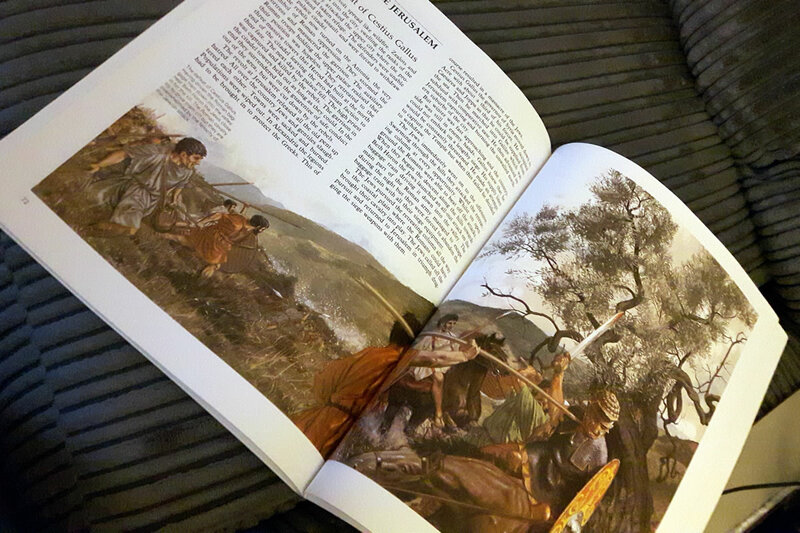 Suitable inspiration for this wargamer at least. So far as blogging, I'm struggling with motivation. Part of the problem is that I'd like to write more interesting thought pieces, but I don't really want to deal with the negativity I've had from people in the past if I've had the temerity to dislike something. It seems to me one ought to be able to express ones' point of view, but maybe I'm too sensitive to say f*** it to the inevitable backlash. There are a lot of things in life trying to bring a brother down, without volunteering to put yourself in the line of fire, yes? Such is the distribution of Warrior Miniatures cavalry units, I needed to add an extra commander figure to this regiment, so one of the models is a dashing cavalry captain in Bicorne. I don't think this looks at all out of place in the unit though. Scratching through the figures I still have for this project, I could add another regiment of Cuirassiers, and a battery of Horse Artillery. 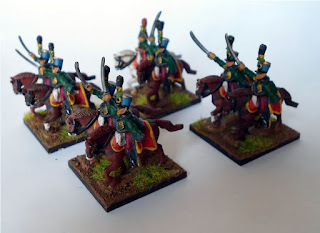 But not much else; I think I may need to order a smattering more models if I get going on these again as 6 Regiments of Infantry and 5/6 of Cavalry doesn't seem quite enough. So I had about a month off the blog. During that time I have done some painting, but not so much gaming; life takes its' own course and other matters arose. I do have a backlog of games to write up if so inclined as usual of course. But let's jump forward in time somewhat. 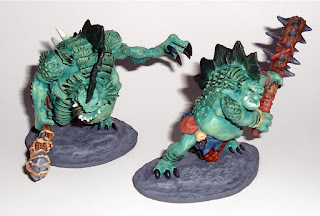 These are the last fantasy models I'm painting for the present, switching to a few historical projects for a change of pace for a while. Here though, I present the Brothers Grax. 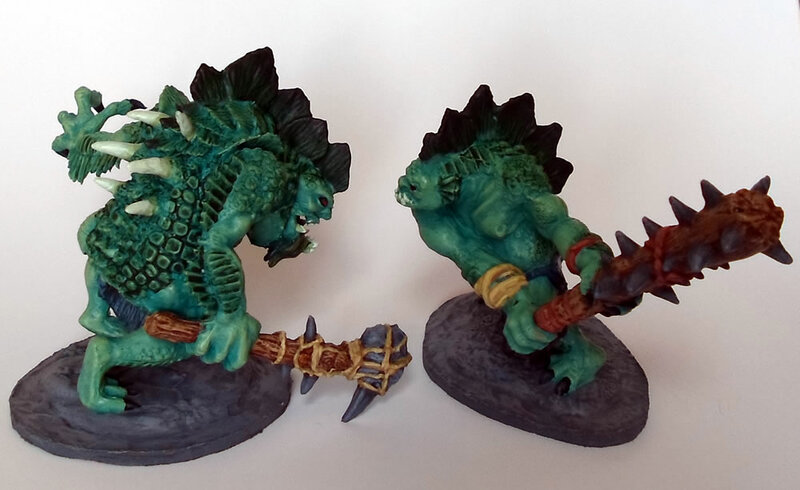 A pair of trolls for an elite infantry slot painted to match my Dungeon Delving Kobolds force and its' miscellaneous allies. The brothers Grax are Sewer Trolls from the pallid depths of the Underhive, where at least turning to stone in the sunlight is never an issue for them. Both models are from the Reaper Bones range, and scale up well to other ranges of Trolls. The painting was pretty straightforward; though at the very end I decided to add a wash to the scales. This could have been tidier but it seems to do the trick.